Serving İstanbul’s music enthusiasts for more than ten years in Asmalımescit, Babylon is considered one of the best live music venues of Turkey with its remarkable architectural style and acoustic design as well as the technical equipment. The venue has hosted numerous Turkish and international musicians performing in all music genres since the day it was opened. The events in Babylon are not limited to musical performances; plays, dance shows, video art performances, workshops and documentary screenings are also in the program. One of the places with the most stunning views in Beyoğlu, 360Club is a venue offering limitless entertainment by live music accompanied by House&Funk DJs; Soul, R&B and House vocal & live instrument performances. You can listen to live music by different bands every day in Hayal Kahvesi, which is considered on eof the best performance venues in İstanbul. Local bands as well as international bands perform in Hayal Kahvesi and the place is especially preferred by the youth. 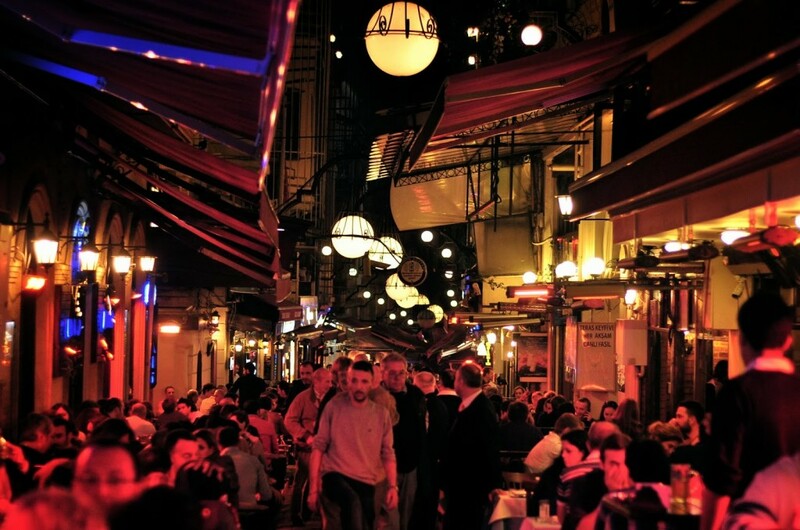 One of the most popular destinations for the youth in Beyoğlu for many years, Roxy is known for the live performances in addition to weekend parties and theme nights. Roxy has been the scene for some of the most famous jazz musicians of the world since it has been one of the formal music venues of İstanbul Jazz Festival for many years. Jolly Joker Balans is noticeable for its capacity for 800 people and the top-end technical equipment. Leading musicians have gigs in this venue and a smoking terrace is also available.